Explore the Côte Sauvage by bike or on the water! 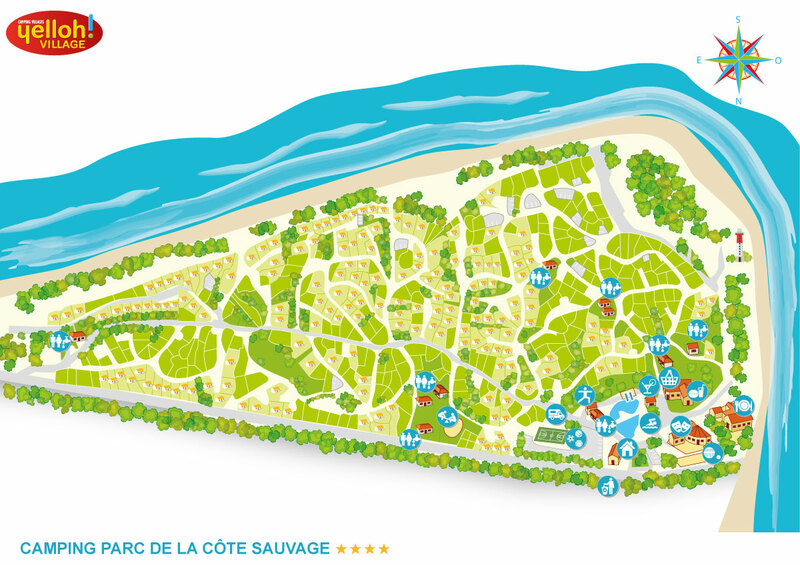 You will love the many activities that are offered during your stay at the Parc de la Côte Sauvage. To get back into shape, we organise aquagym and fitness classes and there is a weight training room available. Outside the campsite, the La Coubre forest provides 40 km of biking trails to get around easily. Take advantage of the nearby surfing school to practice the region's favourite sport. Finally, there is an equestrian centre, a golf course and a tree climbing adventure course only a few minutes from the village. You can't leave without visiting the La Coubre lighthouse with its 300 steps, overlooking the campsite and offering a wide open view of the ocean and the Bonne Anse Bay. We suggest a visit to the La Palmyre zoo with your family, one Europe's largest zoological parks. The islands of Oléron, Aix and Ré will enchant you with their varied, unspoiled landscapes. If you love oysters, take a guided tour of Marenne, the oyster farming village along the Chenal de la Cayenne. Finally, the city of Royan and its unusual architecture is worth a visit. There are so many activities and things to discover during your holiday in La Palmyre.